Godzilla, Mothra and King Ghidorah 바탕화면. . HD Wallpaper and background images in the Godzilla club tagged: photo. 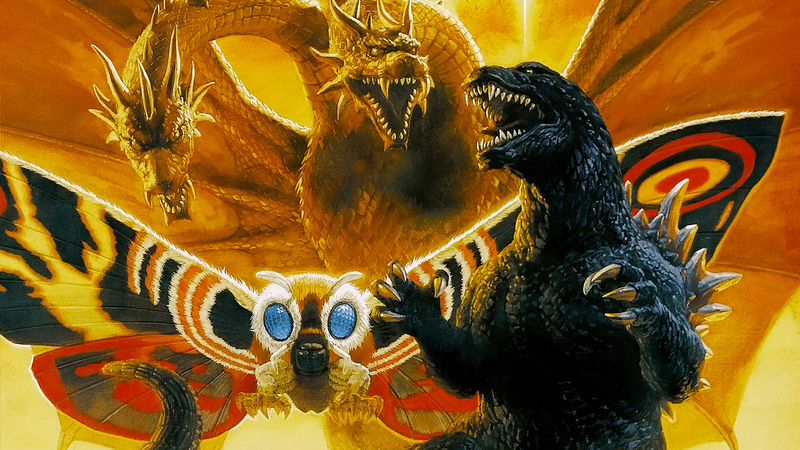 This Godzilla wallpaper might contain triceratops, 백합 드 lis, 프랑스 드리스, fleur 드 문양이, and fleur 드 lys.